The Laguna Bali is an expansive luxury resort that offers 5 star comforts and amenities with an authentic Balinese experience. 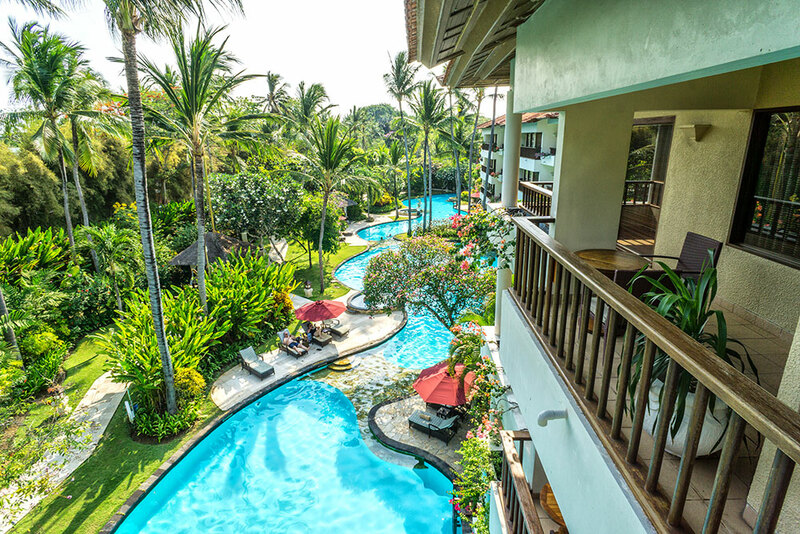 The large resort complex is surrounded by immaculate landscaping, tropical plants and one of Bali’s nicest beaches. Despite it’s size the rooms and grounds are blissfully relaxing and tranquil, with plenty of space of sprawl out and call your own. 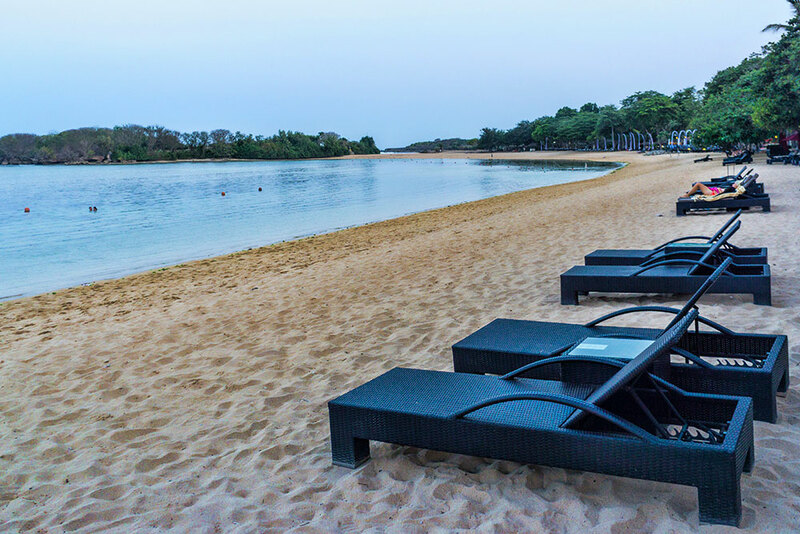 Located on the southern peninsula of Bali called Nusa Dua, The Laguna Bali has some of the nicest white sand beach the island offers. Just a 30 minute drive from the airport and you’ll be ready to relax pool side or right on the beach. In case didn’t come all the way to Bali just to lay on the beach you can find one of the most famous Hindu temples in Bali just 12 miles away. Uluwatu Temple is perched atop massive cliffs that overlook the Indian Ocean. It’s spectacular views and wild monkeys are great for an afternoon adventure and sunset viewing. 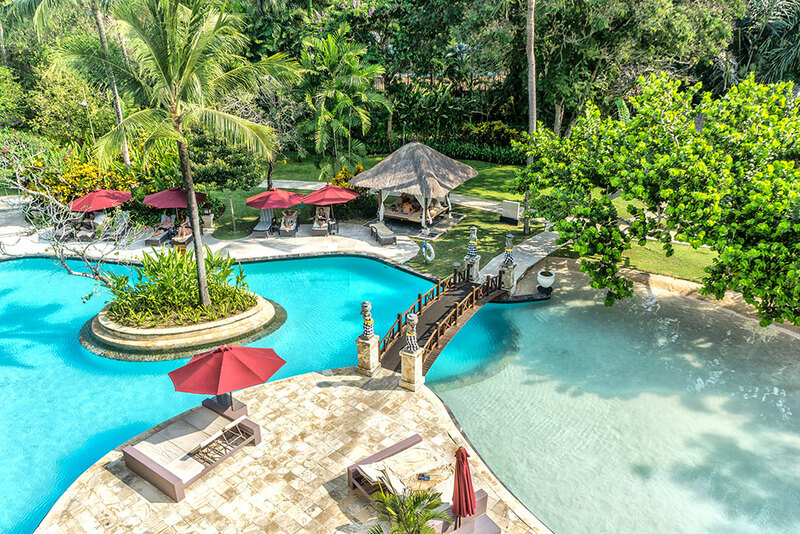 With 11 different room types and 3 villa styles to choose from The Laguna Bali is full of options and offers flexibility for all kinds of guests from honeymooners to large families. I stayed in the “Deluxe Studio Lagoon Access” room which came with 517 square feet of comfortably furnished space. The lagoon access rooms stand out because they offer guests the ability to jump right into the lagoon pools directly from the room’s balcony. That’s right, you can get in and out of the pool right from the comfort of your room! The bathroom was finished with marble and had a shower with a separate over-sized tub that I could actually fit into. The resort’s dining options don’t disappoint – award winning restaurants offer poolside or beachfront fine dining for every meal. The buffet dinner I had was not only delicious but offered a wide variety of dishes for any taste. Two bars compliment the restaurants and keep guests refreshed while they enjoy Bali’s delightful outdoor weather. The menus offer enough choices and the food is so well prepared you won’t need to leave the resort grounds for any of your meals unless you feel like it. The 54,000 square foot lagoon that wraps around the entire resort is the star of the show. Dotted all around the pools are Balinese cabanas and umbrella shaded loungers offering a perfectly relaxing atmosphere. Tropical plants and trees offer privacy and seclusion. Some pools offer sandy beach access while others have stairs. First floor rooms even come with direct pool access from their balconies. 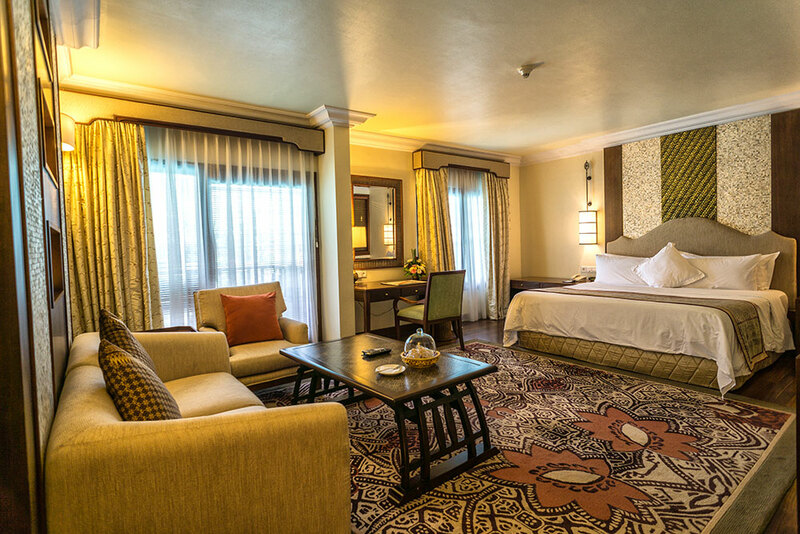 All guests receive a 24-hour butler service with complimentary tea and coffee delivery and a light pressing on arrival. High speed internet that works! I stayed in many hotels and resorts during my trip to Bali and The Laguna Bali resort was the only one that had reliable, working internet; and it was fast. The Lagoon Spa, offering indigenous Balinese treatments and state-of-the-art equipment. Private transfers to and from the airport (for an additional fee). Between the relaxing pools, water sports and swimming at the beach, and spa there’s plenty to keep you entertained throughout the day. Once the sun sets you’ll want to be on the beach to see the nightly traditional fire dance. 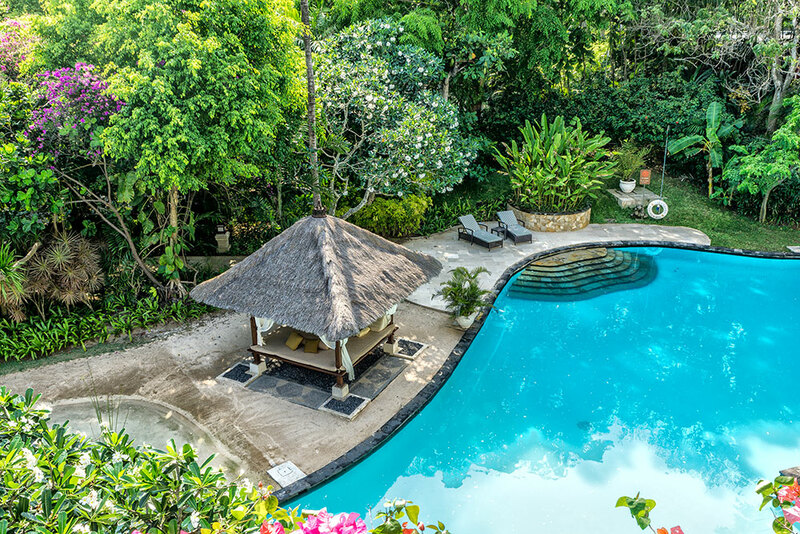 The Laguna Bali resort offers guests 5-star luxury, white sand beach looking out into the Indian Ocean, and a swimming pool that’s to die for. 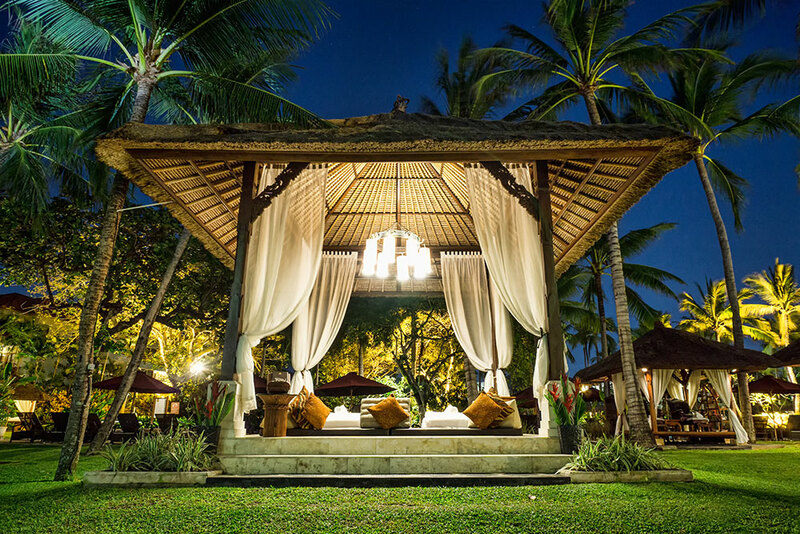 Chose the right room (or villa) for your needs and you’re guaranteed a relaxing, pampered beach vacation in Bali.